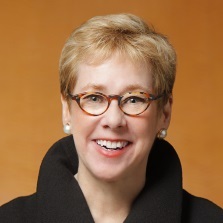 Linda Chatman Thomsen, who was the first woman to serve as the Director of the Division of Enforcement at the Securities and Exchange Commission, is a partner in Davis Polk’s Litigation Department and practices in the Washington DC office. Her practice concentrates in matters related to the enforcement of the federal securities laws. She has represented clients in SEC enforcement investigations and inquiries, in enforcement matters before other agencies, including the Department of Justice (various U.S. Attorneys Offices) and the Commodities Futures Trading Commission, in investigations and inquiries from self-regulatory agencies, including FINRA, and in internal investigations.